— Novita has been supporting young people to achieve amazing things every day, since 1939. 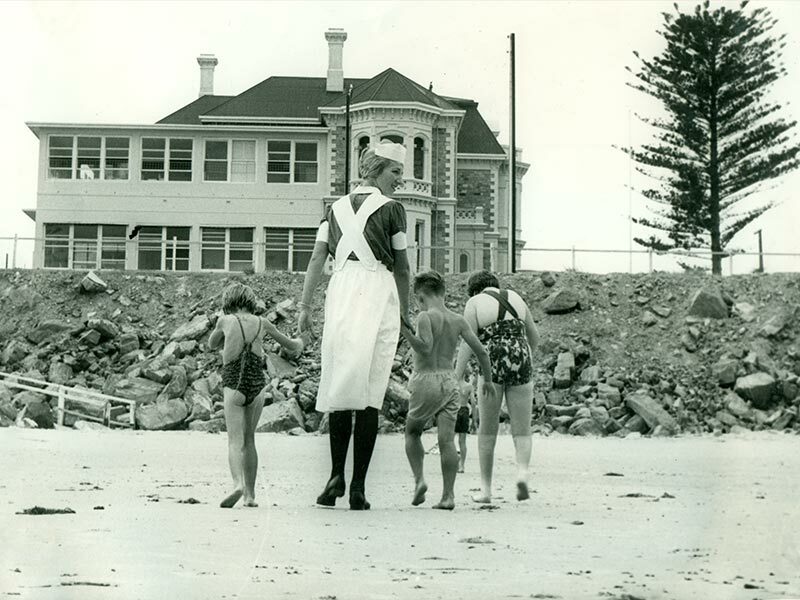 When we launched in 1939 under a different name (the Crippled Children’s Association of South Australia) we had a single, remodeled home on the Esplanade, Somerton Park with 27 beds, called Somerton Home. The home accommodated a maximum of 50 children living with polio, and all up, our staff supported around 200 kids through day programs and a vocational guidance program. The South Australian Government supported the running of the home through an annual grant of £2,000. In 1944 we expanded our supports to kids living with cerebral palsy before opening the first school for kids living with cerebral palsy at the Adelaide Children’s Hospital, along with a clinic, on 6 March 1946. The school was founded under the guidance of Director, Miss Daphne Lorraine Gum, who was later awarded an OBE and OAM for her groundbreaking work and tireless dedication. 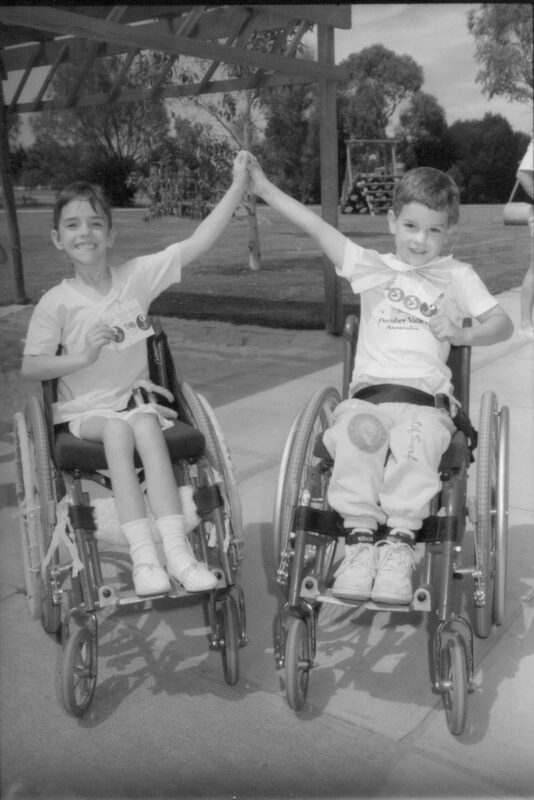 In 1951 we began offering services to children living with neuromuscular diseases. In 1952 we purchased Ashford House at 87 Anzac Highway, Ashford, with assistance from the State Government and used it as a school and therapy centre for children living with cerebral palsy. Between 1956 and 1957 rates of polio dropped significantly because of the introduction of a vaccine. 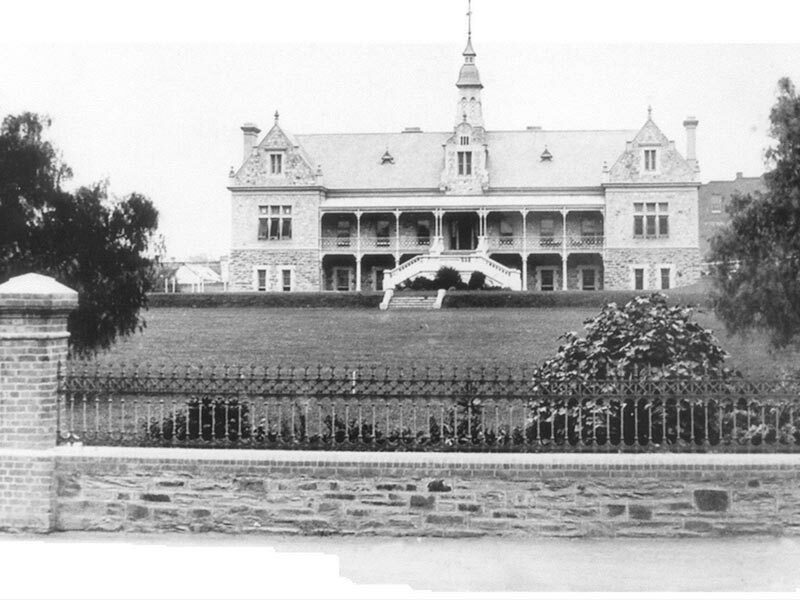 In 1965 we purchased a property adjoining the grounds of Somerton Home, to be used as an Occupational Therapy Department and kindergarten. In the same year, we also acquired Marshfield House, located at 10 Mortimer Street, Kurralta Park, which was used as a residential annex for the children and families of Ashford House. In 1966, we opened our new head office at 67-69 Franklin Street in Adelaide’s CBD. 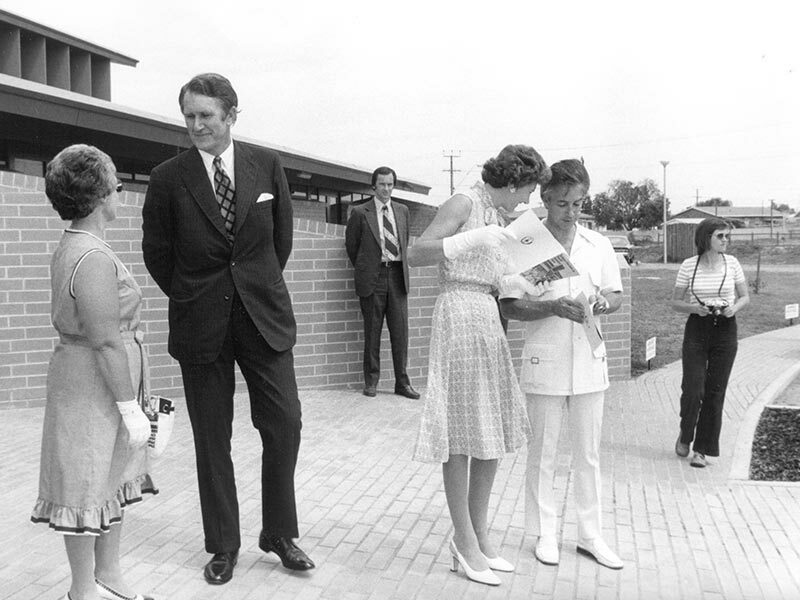 In 1970 a committee was formed to look for a larger hub for Novita, and in 1971 the South Australian Government allocated 8.1 hectares of land at Islington (now called Regency Park) for us to build a new, state of the art, centre for excellence in 1973. In December of 1973, construction started on the new building, that we still use, at 171 Days Road Regency Park, and in 1976 our kids from Somerton Home and the Ashford House School moved in. The total building cost of $5.4 million was subsidised by the Building Fund Appeal, run by Novita, which raised $2.25 million in donations from the South Australian community. This building incorporated residential accommodation for country clients, a school and therapy services for 147 children living with physical disability. We also established our Orthotic Department in 1976. The department’s work included making and repairing braces, special seating, walking aids, wrist supports and shoes. In 1976, Dr Barry Seeger, a Biomedical Engineer, was appointed the Chief Engineer of Orthotics and Orthotics Research, and in 1978 the department was renamed Rehabilitation Engineering. By the late 70s, we were supporting 242 children. In 1980, the Research Unit was established by Dr David Caudrey, a research psychologist, with the assistance of Miss Denise Wood, a social worker. The unit was responsible for investigating the needs and feasibility of establishing mobile teams and independent living for young adolescents and adults living with disability in South Australia. Research undertaken by the unit was funded by grants from the Channel 10 Children’s Medical Research Foundation (now the Channel 7 Children’s Research Foundation). 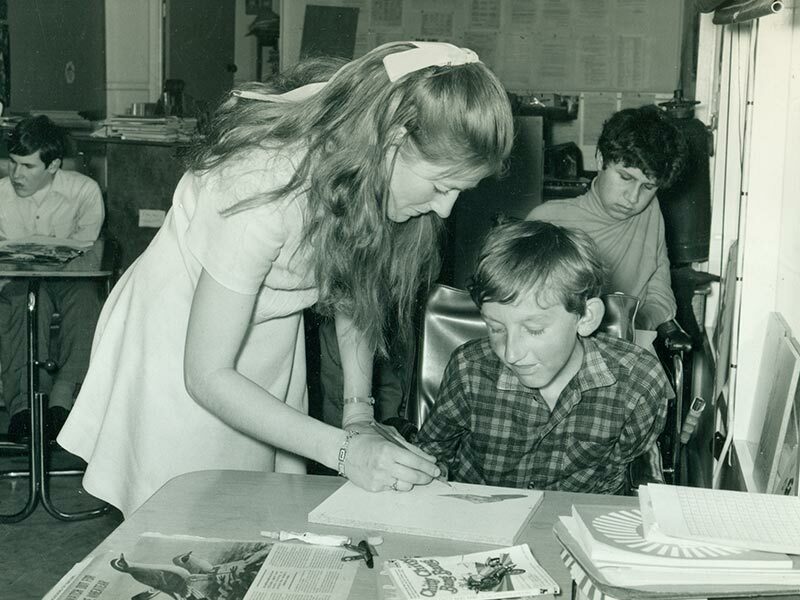 In the mid-80s we started providing services to kids in regional South Australia. We celebrated our Golden Jubilee in 1989. By now, we employed 330 staff and supported 196 day students at the Regency Park school and 516 kids across South Australia. We also supported 118 families in their homes, 158 people in employment and training programs, and 24 people in independent living arrangements. Also in 1989, we established what is now called the Novitatech Test laboratory at Regency Park. It was created to assist the International Standards Organisation (ISO) and Standards Australia produce a range of quality and performance standards for wheelchairs and other rehabilitation equipment. The Test Laboratory still operates today and is accredited by the National Association of Testing Authorities (NATA). It provides independent testing of medical and disability products to Australian and International Standards. In 1992 the Regency Park Centre residential facility was closed to focus on inclusion of kids within the community. A year later, services were exchanged with the Spastic Centre of South Australia (SCOSA), and we increased our therapy services by providing therapy for all SA kids living with physical disability. 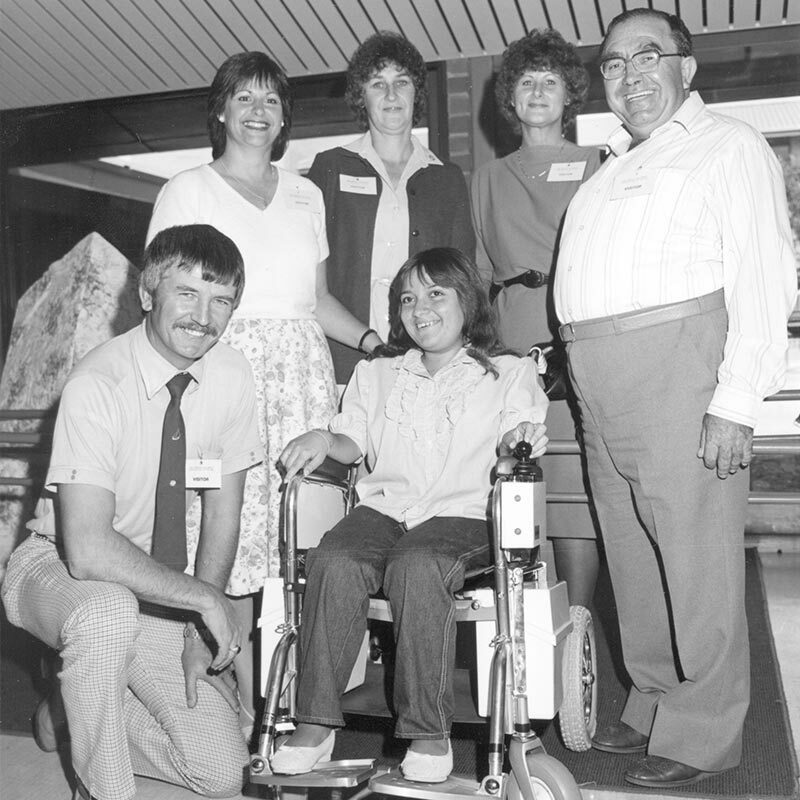 In 1997 we commenced working with the Women’s and Children’s Hospital to provide medical rehabilitation services to children living with disability, recovering from surgery. Also that year, a senior researcher with a background in allied health joined the team and Novita expanded its research activities to include clinical research projects – our first foray into a multidisciplinary approach to therapy and rehabilitation. In September 2002, the Board approved a redevelopment project at Regency Park to upgrade the day centre, and carry out significant maintenance to comply with current building and fire safety codes. As part of the redevelopment, the villa complex was sold to the Port Adelaide Central Mission and space in the day centre was leased to the Intellectual Disability Services Council for the Western Options Co-ordination Office. In 2003, we undertook a strategic review of our service delivery policy. We decided to focus on our core business, namely the provision of therapy, equipment and family support services to children living with disability. As a result, a decision was made to transfer our adult therapy operations, Communication and Therapy Services (CTS) to the Disability Services Office, before it was transferred to the Independent Living Centre. 2004 was a turning point for the organisation when we changed our name to Novita Children’s Services. ‘Novita’ is a combination of two Latin words – ‘nova’ (meaning new) and ‘vita’ (meaning life). In 2005, through the Australian Government-funded Inclusion Support Program, Novita further expanded its services. The program enabled 400 children living with disability, Indigenous children and children from culturally and linguistically diverse (CALD) backgrounds to better access community-based services such as childcare, Out of School Hours Care and vacation care through Novita. Novita supported close to 100 childcare centres across the State to equip their staff with the skills and knowledge needed to create quality, inclusive environments for children. In 2011 we opened a new hub for our kids and teens at St Marys and established a wholly owned subsidiary, CareFirst Pty Ltd, to support our entry into the fee-for-service market. In 2012 we acquired a new business and renamed it Community Options SA (COSA) – subsequently renamed Novita Community Inclusion - to provide day options, respite, recreation and in-home care to children and adults living with disability. 2013 saw the introduction of the National Disability Insurance Scheme and the commencement of trials in a range of geographical sites across Australia to different age cohorts. 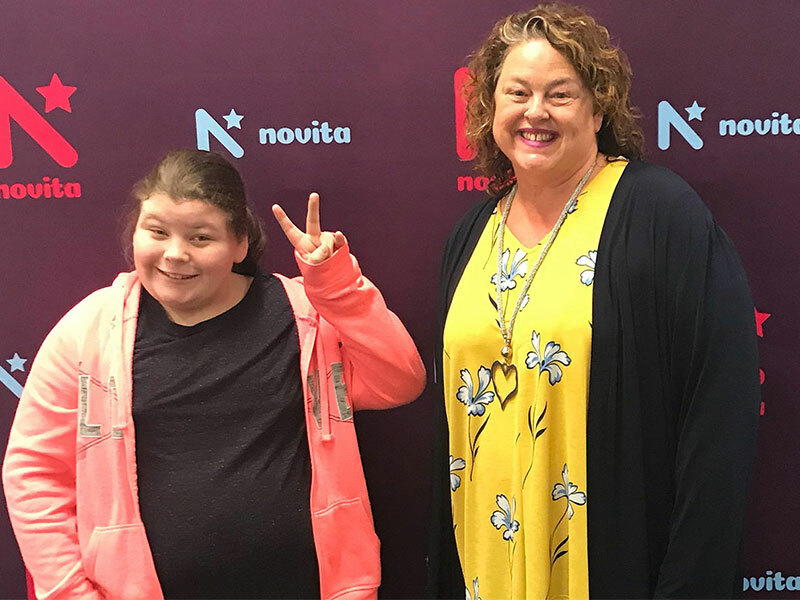 The trial in South Australia focussed on children up to the age of 18, which saw Novita heavily involved in the early development and transition to the NDIS. By the time the NDIS commenced its official rollout across Australia in July 2016, Novita had the majority of its clients already on NDIS plans. One of our Novita kids at the launch of our Elizabeth Hub, with Novita CEO Greg Ward, the Honourable Jay Weatherill, MP, Premier of South Australia, and Novita Patron, His Excellency the Honourable Hieu Van Le AC, Governor of South Australia. In 2017 we opened a new office in Elizabeth, Whyalla, Port Lincoln and Broken Hill, and expanded our services to young adults living with disability. We also launched a refreshed, contemporary brand. 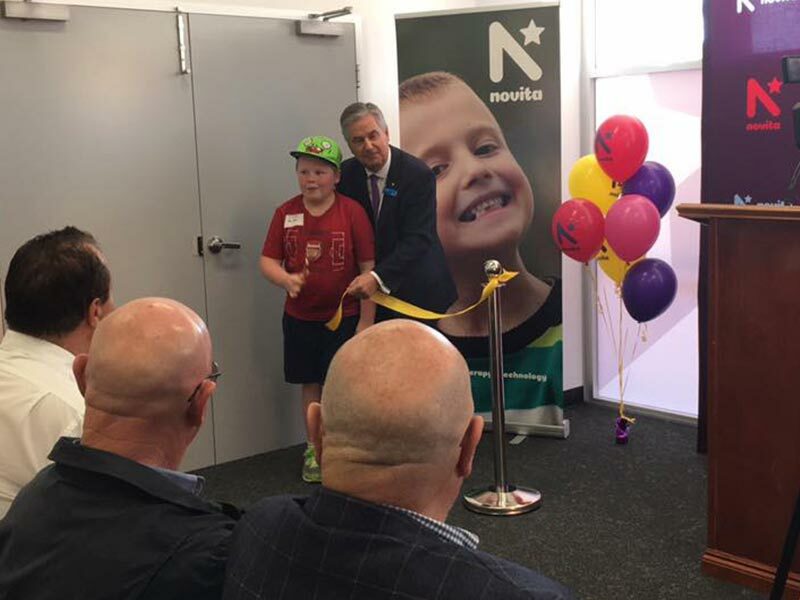 One of our Novita kids, nine year old Bodhi Forsythe, cutting the ribbon to officially open our new Whyalla hub with Novita President, Rear Admiral the Honourable Kevin Scarce AC CSC RAN (Rtd). In May 2018, Novita also opened a brand new hub in Murray Bridge. At least 60 regional families now benefit from access to locally based therapists, more group and community based programs, and telehealth facilities. Ava from Murray Bridge with Nat Cook MP, Shadow Minister for Human Services. Things have changed a lot since the 1930s, not just at Novita. The introduction of the Disability Discrimination Act in 1992, the ratification of the United Nations Convention on the Rights of Persons with Disabilities in 2007, and the launch of the National Disability Insurance Scheme have been life changing for people living with disability and their families. With continued advocacy, innovation, technology and inclusion, the possibilities are endless for young people living with disability. We’re excited about the future! 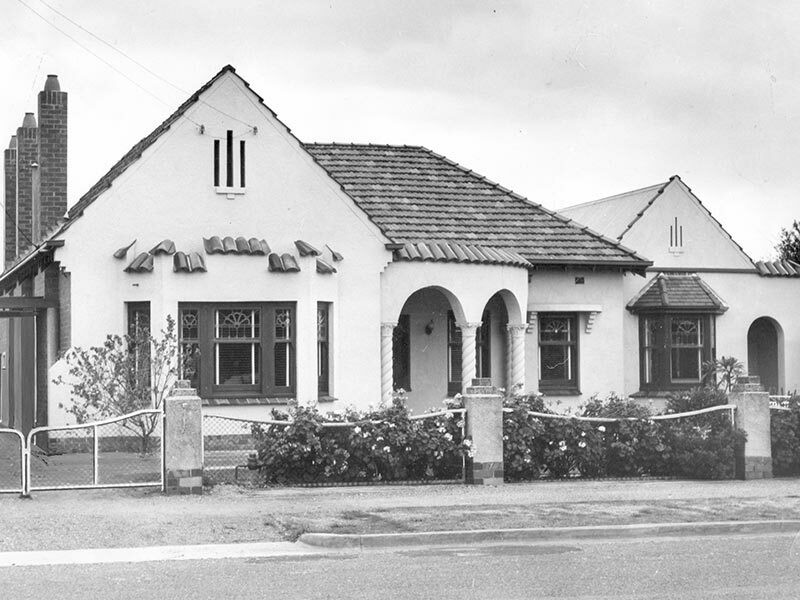 The Crippled Children’s Association of SA Inc.
1939 Somerton Home opened for kids living with polio. 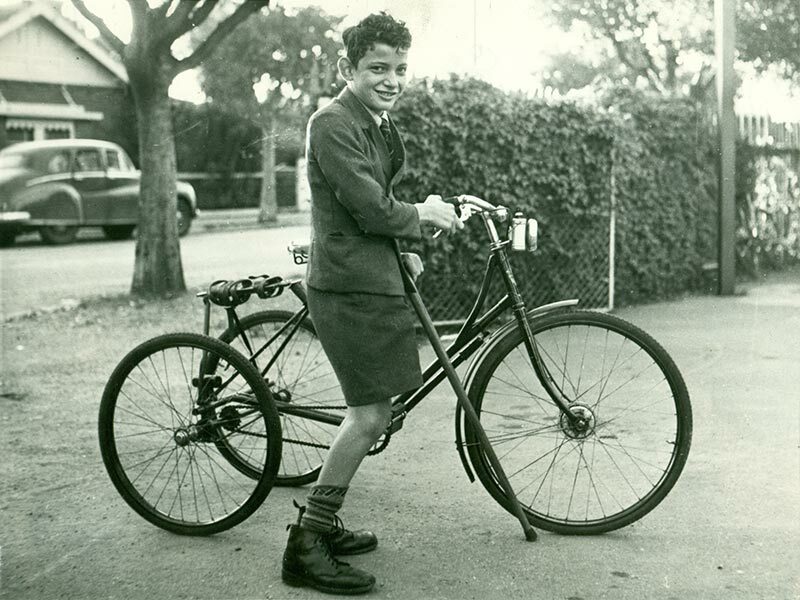 1944 A school opened for kids living with cerebral palsy at the Adelaide Children’s Hospital. 1951 Our services expanded to children living with other disability types, such as neuromuscular disease. 1952 Novita purchased Ashford House with assistance from the State Government, to use as a school and therapy centre for children living with cerebral palsy. 1960 The Ashford House Activity Centre was officially opened by Sir Thomas Playford. Also in 1960, the Down Every Street Appeal involved more than 2000 collectors and a Telethon conducted by Channel 9. 1963 Official opening of the new swimming pool at Ashford House School. 1965 Somerton Home purchased a property adjoining the grounds to be used for occupational therapy and as a kindergarten. 1966 Our Head Office opened in Franklin Street in Adelaide. 1973 Building of Regency Park Centre commenced. 1974 Princess Anne visits Riding for the Handicapped where she met with Novita children. 1976 Regency Park opened for kids who transferred over from Somerton Home and Ashford House School. The Centre was officially opened by His Excellency the Governor of South Australia Sir Mark Oliphant. Regency Park Engineering was established. 1977 Novita ran a Biofeedback research program. We also ran clinics on orthopaedics, spina bifida, ophthalmology, dentistry, rheumatology, neurology and muscle disorders. 1978 The Down Every Street Appeal was launched by Sir Douglas and Lady Bader who visited Australia specifically for the launch. The Auxiliaries raised $64,000. 1979 Her Royal Highness the Duchess of Gloucester toured the Regency Park Centre. 1980 We celebrated International Year of Disabled Persons. 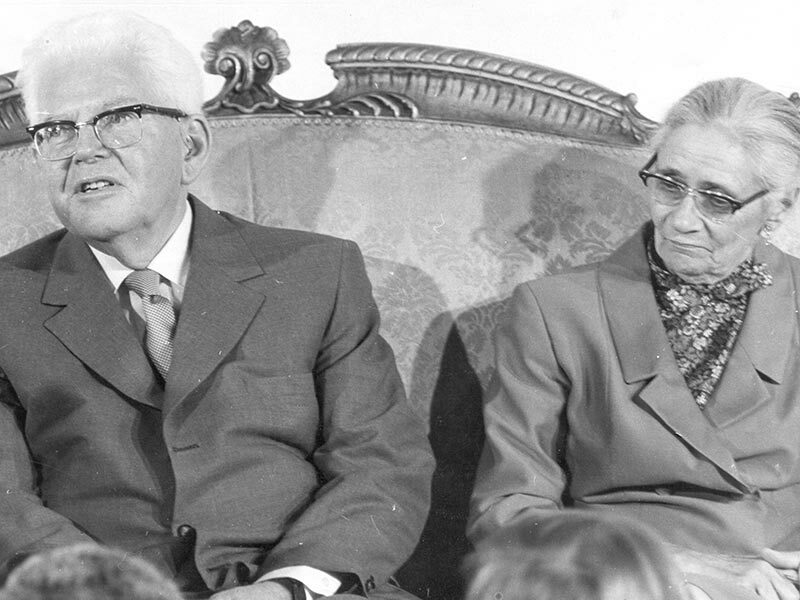 We also established a Research Unit under Dr David Caudrey, assisted by Miss Denise Wood. The H.E.T.A Handicapped Employment Training Assistant Unit continued to operate following a pre-pilot program. We also held the annual Beachathon at Henley Beach. 1982 The Mrs South Australia Quest Fund raised $88,046 and the Down Every Street Appeal raised $181,000. 1983 The Housing Division, a major research and development project, took place with accommodation for nine residents. Also this year, Sir Donald Bradman visited to launch his book and the H.E.T.A program officially opened. 1989 We celebrated our Golden Jubilee Year and launched what’s now called Novita Tech. 1992 Our residential facility was closed to focus on inclusion of children living with disability within the community and the facilities sold to Anglicare SA. 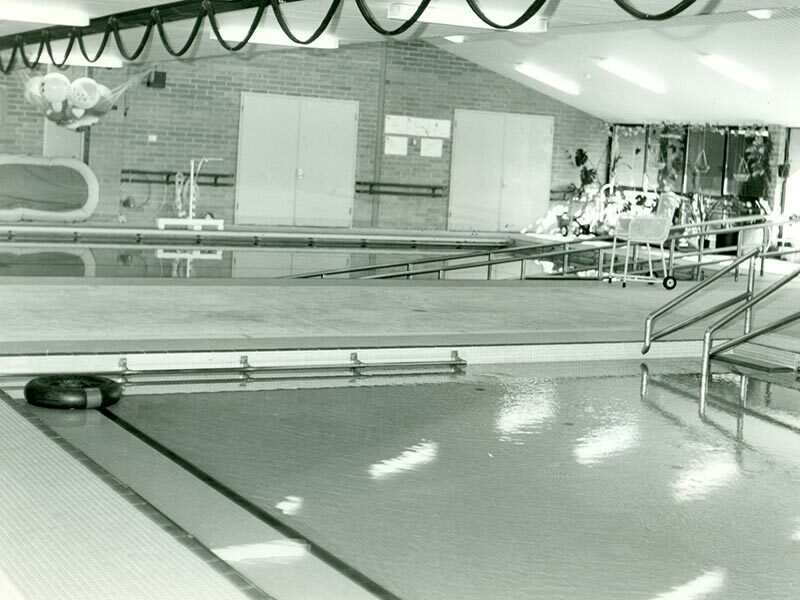 1993 Services were exchanged with the Spastic Centres of South Australia (SCOSA) and Novita assumed responsibility for occupational therapy, physiotherapy, speech pathology, psychology, paediatrics and equipment. The SCOSA workshop moved to Rehabilitation Engineering at Regency Park and Novita’s respite and accommodation services were transferred to SCOSA. Also in 1993, the Mrs. South Australia awards changed to the Community Achievement Awards. 1994/95 As well as Regency Park, Novita has four regional officers in Salisbury, Holden Hill, Morphett Vale, Woodville and the Community Directors Program at Evandale. 1997 We entered into partnership with the Women’s and Children’s Hospital for the provision of paediatric, rehabilitation and medical services. During this year also, the Research and Development department separated from Rehabilitation Engineering. 2004 We changed our name to Novita Children’s Services. 2009 We celebrated 70 years of supporting kids living with disability. 2011 Our St Marys hub opened. 2013 The NDIS trial launched in South Australia to kids living with disability, and Novita was one of the first organisations to offer services under the NDIS in the State. 2014 We celebrated our 75th Anniversary. 2016 The NDIS was introduced progressively around Australia. 2017 We opened new hubs in Elizabeth, Whyalla and Port Lincoln, refreshed our brand and expanded our services to young adults living with disability. 2018 In May 2018, Novita opened a brand new hub in Murray Bridge. At least 60 regional families now benefit from access to locally based therapists, more group and community based programs, and telehealth facilities. Novita has, and continues to be, guided by a Board of dedicated professionals, led by a Novita President, and we have had the honour of hosting notable Novita Patrons, Patronesses, Vice Patrons and Vice Patronesses. 2007-2014 RADM The Hon Kevin Scarce AC CSC RANR Rtd.